Future of warfare. 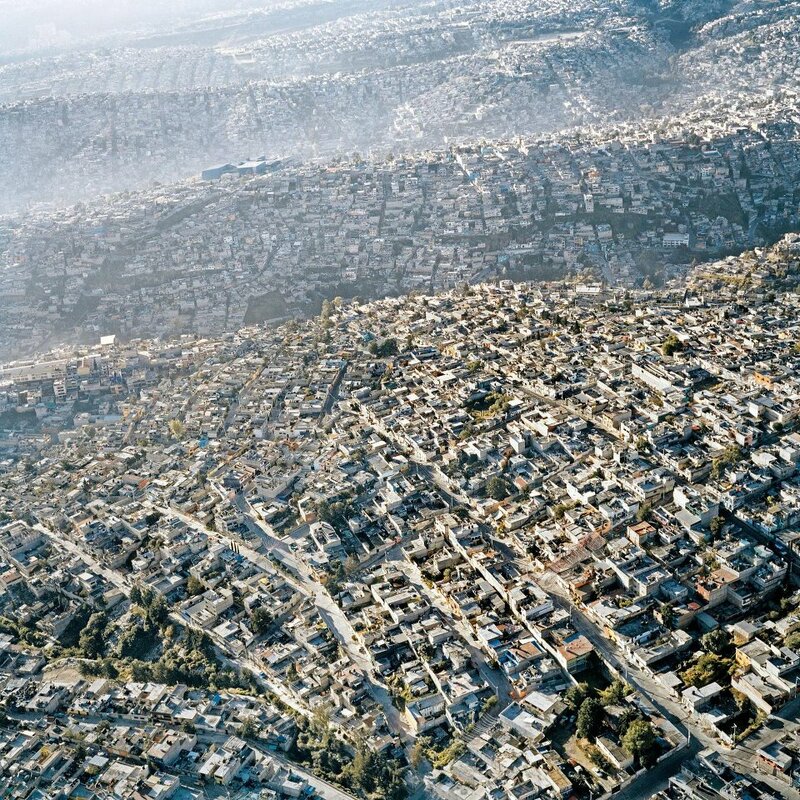 Megacities + millions of drones. I wandered into a Mexican shantytown once, back in the 1990′s . Not sure I would care to repeat the experience at the present time. Robb’s facebook post started me thinking. If drones of all sizes and functions become ubiquitous someday, it creates a great incentive for the powerful, at least to safeguard their privacy, to apply human ingenuity toward concealment, countermeasures and postmodern “citadels”. All the moreso, if “megacities’ are all girdled in vast seas of slums. Imagine the LA or London riots with 20 times the underclass population. The bloody experience of the New York City Draft Riots during the Civil War taught the Robber Barons of the Gilded Age to support the building of public and private armories to defend the gentle classes from the great uprising that never came. Fortification is something of a lost art, but it was up until recent history, a critical military capability. After castles went into a temporary decline with the advent of cannons blasting apart their high walls, post-renaissance architects redesigned European fortifications to endure the new bronze siege guns and defense again triumphed over offense. Military engineers like Vauban were more valuable than field marshals and kings staked their strategies on the strength of chains of fortifications and arsenals. Obsolete by the time of the Napoleonic wars, massive fortresses nonetheless enjoyed a long twilight march to military irrelevance, ending in WWII with the ignominious capture of Belgium’s mighty Eben-Emael fortress by 75 lightly armed Germans and the utter uselessness of the extremely expensive Maginot Line during the Battle of France. Fortification began to receive renewed interest as governments sought defensive measures to allow their leadership to survive a nuclear attack, such as the Cold War era secret bunkers for USG officials at Greenbrier or Raven Rock or efforts by rogue dictatorships to build facilities carved deep into a mountain to protect their leadership or nuclear weapons programs from American attack. The ancient arms race of defense and offense continues with the designers of “bunker-busters” as a peripheral military activity. Governments and occasionally corporations and superwealthy individuals will continue to build and tweak these doomsday bunkers but as strategic investments they do not offer very good ROI. For one thing, if your national leadership is cornered fifty stories underground, it will be little comfort to you and your fellow citizens as the nuclear bombs are exploding; the game is pretty much over at that point. Secondly, the ultimate risk they are hedging against is far more remote and the benefits infinitesimal compared to what rethinking fortification as a concept would do to minimize more mundane and probable risks faced by the rest of us. A great fortress conjures the idea of impregnability and, ironically, usually achieves eternal fame for falling or being breached – the walls of Constantinople, the Great Wall of China, Masada, Alamut, Murud-Janjira and the aforementioned Maginot Line. “Impregnability” is a misnomer, what a good fortification really does is raise operational costs for adversaries, hopefully high enough to discourage them from making the effort to attack in the first place. Raising costs for those who bear us ill-will by adaptation and a priori design should be our paradigm. Drones: As John Robb suggested in his FB post and at Global Guerrillas, drone usage could potentially become ubiquitous by governments, corporations and individuals with an axe to grind or an interest in stalking, terrorism or committing mayhem. Imagine the Unabomber or Osama bin Laden with a drone swarm controlled from a laptop – superempowerment will go robotic.Drones will/are becoming semi–autonomous. They are easily modified to carry cameras, recording/SIGINT devices, imaging systems, weapons, toxic substances or explosives. Civil Unrest: The UK Riots were an excellent reminder that, as with the LA Riots, in the case of dangerous criminal-class rioting, elites will be unable to reestablish order or rescue law-abiding citizens until their reticence becomes a political debacle (and they may, as in Britain, initially restrain law enforcement personnel from suppressing the rioters). This contrasts with elite willingness to mobilize vast police and paramilitary forces against mere embarrassing political protests. Cybersecurity: This adds a new dimension to fortification that is not limited to a physical space and place, even securing your home networks, but to your identity. How might we adapt individually and collectively to these risks? Privacy architecture: Building design embedded with the idea of promoting privacy, adjusted to the surrounding environment, which today includes thwarting advocates of a panopticon society. You want a structure that breaks clear fields of vision from the outside to the interior. Overhangs, angled exterior surfaces, material surface to reflect heat and light, ornaments/catwalks/netting and landscaping to break up spatial fields. Perhaps layered walls of different materials to diffuse or mislead spectral/thermal imaging. This could be incorporated in public spaces in neighborhoods or campuses improving both aesthetics as well as privacy. Underground: Increasing useful space by building down to sub-basement level gives you more possible points of egress, protection from surveillance technologies, storage and living quarters while concealing the true extent of your property from street level view. Best of all, it usually does not count toward your property tax assessment. Substreet complexes, like the system at Disneyworld, could easily planned into the development stage of residential and commercial construction. Unobtrusive but Unconventional: Attracting large amounts of attention is helpful in commerce or branding but generally disadvantageous to security. A home should be designed to frustrate opportunistic predators and delay determined ones with the most interesting elements reserved for the interior and (if possible) the rear with the street view presenting a target that is visually more bland than adjacent structures and also unattractive for forced entry. Windows should be treated to make it more difficult to see in or observe when residents are home vice away. Defensive Security: This is something to consider individually and cooperatively. I once lived in a house in a town with a modestly high crime rate but never had a problem because the house was in a cul-de-sac with a wide oblong court and a long bottleneck entry. The neighbors knew one another and it was impossible (unlike on a conventional street) to not notice a strange car or pedestrian as every home faced the court. Aside from alarm systems, simple things like better quality doors and locks buys you time to react. If multilevel, you should have at least two ways to escape from an upper floor (when I designed my second home, there were three) which also increases the interior complexity for an unfamiliar intruder. First floor windows should be out of easy reach from ground level. Manage your Connectivity: Aside from normal cybersecurity precautions, you might consider managing, blocking or at least being aware of your geolocational activity by being selective about tracking devices (like smart phones) and your exposure to “the internet of things”. Do you really need to hook your fridge up to the internet or pay for everything with a debit card? Fortification is largely about thinking ahead to put objects and systems between yourself and the world.